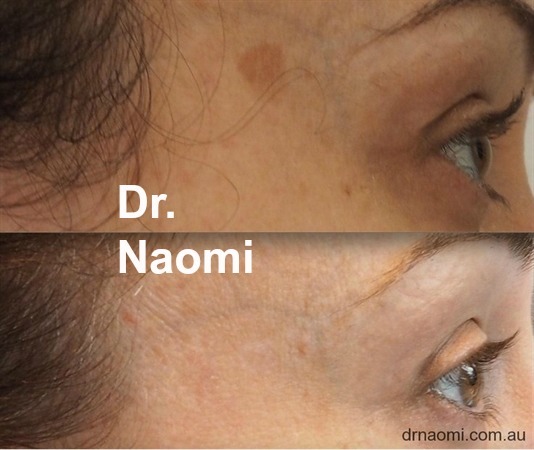 Freckle removal face is most commonly performed with our Sciton BBL laser /IPL. Patient is to arrive with no makeup and no history of use of self tan/ spray tan for at least 4 weeks. Doctor will recommend test patching prior to freckle removal face . If the patient is Fitzpatrick 1-2 (fair skinned) then they can go ahead with the test patch on the day. If they are darker skin toned or at risk for PIH (Post inflammatory Pigmentation) then they will be advised to use topical lightening agents for 8 weeks prior to treatment. These topical agents are sold at our clinic. Gel will be used on the skin of the face as the laser is used. The test patch will be performed typically in a small area in front of the ear. Immediately after treatment, the skin may be red and feel a little sunburnt. Your test patch results will be reviewed with the doctor. If it fits in with the patient’s life, the full treatment can be performed on this day. As the photos, consent and history taking have all been done already then the full treatment can go ahead straight away. The appointment is 30 minutes, but freckle removal on the face will take about 15 minutes in total. 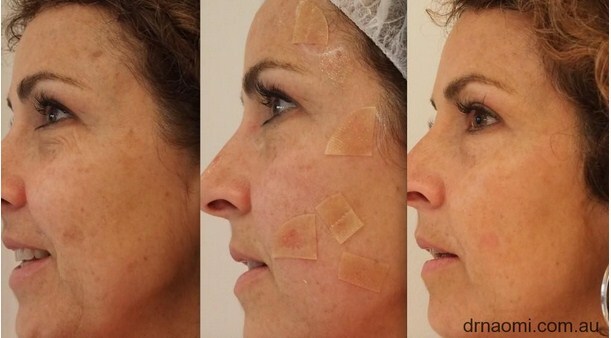 Clear ultrasound gel will be applied to the face. 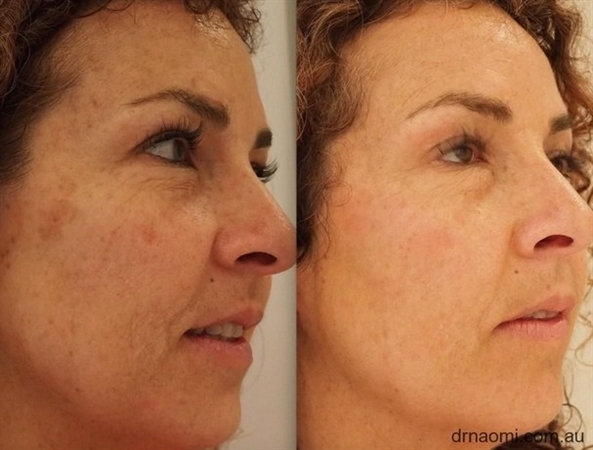 One pass over the full face will be performed, with multiple pulses of the laser required during this full pass. The procedure is painful, but most patients tolerate it very well. 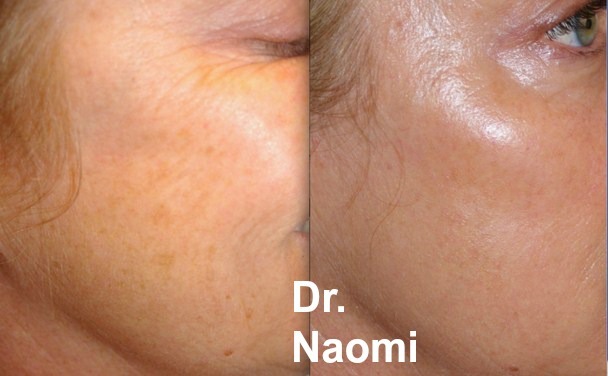 I do not like to use any form of anaesthetic when removing freckles and pigmentation (except when using a fractional laser) as I really need to know that I am not causing excessive damage to the skin. If I use a topical anaesthetic, then the patient is not able to give me this important information, and this could lead to side effects including hypopigmentation or scarring. Typically patients will describe the pain as a 7/10. The patient will feel a strong sunburn-like feeling over the face. It is fine to apply sunscreen or makeup immediately after the sciton BBL treatment. 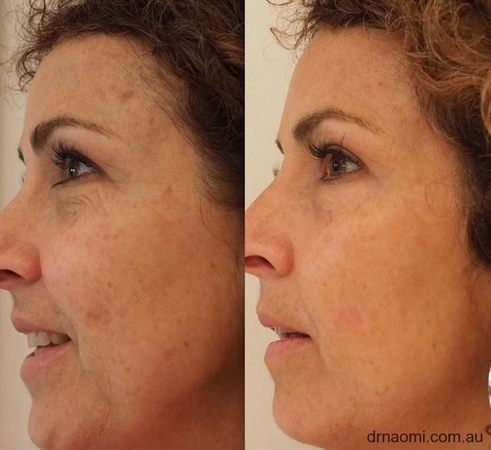 What should you expect to see on your skin after full face BBL for freckle removal face? The redness will improve in the next few hours-days after the BBL treatment. at day 5-7 the freckles will lift and start to crumble away revealing the clear, freckle-free skin you have always wanted!! The results will be complete by 14 days. Treatment 2 will proceed exactly as treatment 1, except a higher power may be used. Also the second treatment will mostly bring up fewer and lighter freckles than treatment 1, because treatment 1 should have lifted up most of the pigment. Facial Swelling: this can occur especially in the under eye area after Sciton BBL. This should resolve within the week. 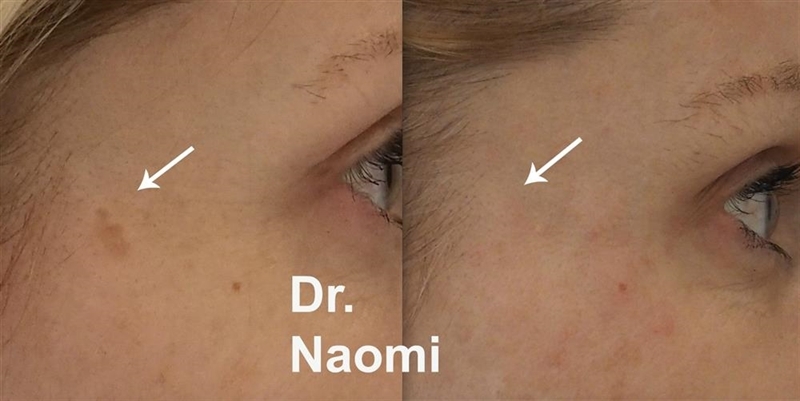 Recurrence of freckles after removal: This is most common on the face, the important fact about this though, is that the past sun damage will continue to occur, so it may not be due to sun that is seen after the laser treatment, but due to the sun damage of the past appearing. 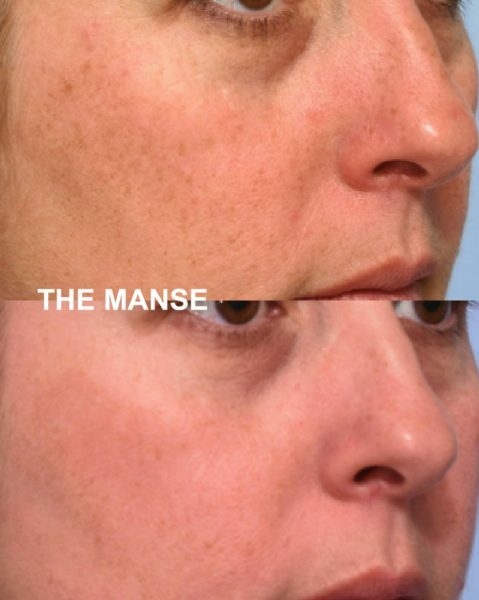 Maintenance treatment of freckle removal on face is once per year.. 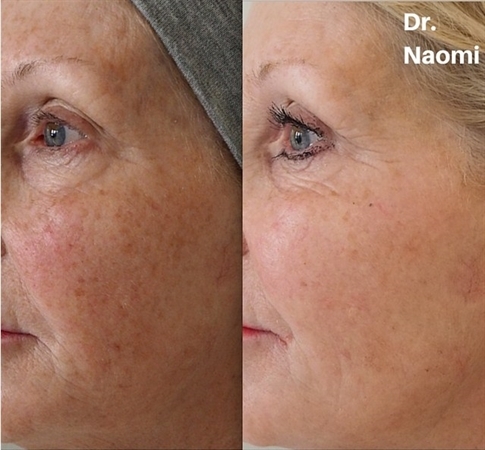 Please visit the laser mole removal page for a full description on this procedure.